December 5th, 2016 (6:37 PM). Edited June 7th, 2017 by Kobazco. Works for both Pokemon Moon and Sun! Please ask if you want to upload this elsewhere, or at least give credit back to this post or my twitter. Lets start off with some context. Currently, pk3DS allows us to edit the trainers and move sets of pokemon within Pokemon Sun and Moon. I decided to go ahead and create a challenge mode of sorts, similar to that of Pokemon Blaze Black/Volt White. Currently editing wild encounters! Trial Captains and Kahunas now all have teams of 6 Pokemon. Level curve greatly changed. Team should be in high 70s/low 80s by the end of the elite 4. Trainers have Pokemon not usually seen in Alola. Movesets of weaker Pokemon is finished. Youngster Joey has a top percent Rattata. Wild encounters up until the post game are finished! Have fun everyone! Custom music for post game returning trainers. Almost every Pokemon has access to their hidden ability. THE EASIEST METHOD IS GETTING A CFW, DO IT WHILE YOU CAN. Instructions: (CFW Required for this method. 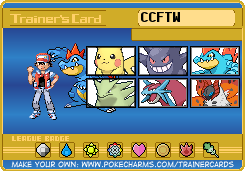 See other method below if you don't have a CFW) I also still need to make the method easier for Pokemon Sun users, sorry! - The code.ips file or Rising Sun code.bin which is in the patch.zip in the Google Drive. - Download the luma nightly release through the luma updater .cia that you hopefully have installed. - create folder called SD:\\SaltySD\sunmoon\ and place the "a" and "data" folders from the GARCS.zip in there. - NOTE: If you are playing Pokemon Rising Sun, rename the "2" file in a/0/8/ to "3". This will make wild encounters work. -Enable "Game Patching" in luma3DS startup options. (Name of this option may vary depending on Luma3DS version. This only works for Luma3DS of course, not HANS. Plus, you can combine this with other IPS patches such as Instant Text Speed, No Outlines, SciresM's QR code patch, etc. First off you're gonna need a dumped copy of Pokemon Sun/Moon. You really should have done that by now btw. Download Extract Repack, Patch.zip and the GARC Files from my google drive. Run Lunar IPS. Select apply patch to file. Select the code.ips patch, and then make sure you can select any file and select your .code.bin. Once its done patching, rename your .code.bin to (last 8 digits of title ID).code Make sure it becomes a .code file. The title ID should be the folder your game was dumped in. Create a folder on your SD card like so: SD:\\SaltySD\sunmoon\ and place the "a" and "Data" folder from the GARC files there. Thats it! Easiest way to tell if its working is by starting a new game or checking your Trainer Passport. FOR POKEMON SUN USERS: RENAME THE "3" FILE IN a\0\8\ TO "2"
Put all of the garc files ("a" folder) in the Sun or Moon folder depending on which game you have. Re balance according to feedback. Re balance Pokemon move sets and stats once tools are available. Finish documentation on the various changes. Creators of the tools pk3DS, extract repack, etc. December 6th, 2016 (1:47 AM). Super excited that we're already delving into S/M hacking, good job! December 6th, 2016 (3:13 AM). It's good to see a S/M difficulty hack this early! Very impressive that you've done so much already. 1% encounter rates can be quite frustrating; spending hours in one grass patch looking for a certain Pokemon isn't much fun. I'd suggest making encounter rates for each Pokemon line at least 5% if possible. Some of the trainer movesets in the mid game could be a little better; Skarmory and Dugtrio aren't going to do much damage with Air Cutter and Mud Bomb, for example. Maybe look into swapping those out for physical moves? Regardless, I'm looking forward to trying this out. December 6th, 2016 (5:40 AM). -Give the Wimpod line a second ability. Maybe Swift Swim? December 6th, 2016 (6:14 AM). Edited December 6th, 2016 by ex. Been keeping an eye on this over Twitter for the past few days and it's looking great so far! Looking forward to seeing more updates. One thing I'd recommend is maybe making Jangmo-o available on the first island or second island. Since you can currently only catch one far into the fourth island, it's almost towards the end of the game making it kinda pointless to use at that stage imo. December 6th, 2016 (9:42 AM). December 6th, 2016 (4:13 PM). OMG such a great one! January 22nd, 2017 (8:59 PM). Help, I'm using HANS to do this, and when I load the game, it just goes back to Homebrew. Am I doing something wrong? January 23rd, 2017 (1:45 PM). Gladion is literally Owain from Fire Emblem now. I'm sold. The other changes are just gravy compared to this. I hope you've been voting in the Fire Emblem Heroes poll? April 1st, 2017 (11:09 AM). June 7th, 2017 (10:34 PM). Oh my. Sorry about NEVER updating this when this is one of the few websites that allows me to post the files lol. Anyways, I've updated the main post to finally be up to date and include download links, etc. Also I'm gonna be doing a Ultra Sun/Moon hack very much like this one, so look forward to it.